To get help with this situation, I would recommend you find a way to get a least a preliminary medical assessment done for dementia. In principle, this can be done at a primary care provider’s (PCP’s) office, and it might be easier to arrange that visit than it is to get her to see a geriatric psychiatrist. In practice, primary care doctors – and cardiologists, for that matter – routinely wave off dementia assessments in people your mother’s age, saying things like “it’s not necessary” “there’ll be nothing to do” “don’t make her upset” and “don’t take it personally, it’s the disease and not your fault.” (This last statement is generally true, but that doesn’t mean we should skip the assessment!) Also, many primary care doctors may not be quite sure just what to do, in order to complete a preliminary assessment. Fortunately, you can improve your chances of getting a helpful assessment by familiarizing yourself with how dementia is diagnosed, and then coming prepared with good information regarding your mother’s abilities and challenges. For instance, you can make note of how your mother is doing regarding these 8 behaviors that may correspond with Alzheimer’s. You can also review this article about dementia diagnosis which I wrote for family caregivers. Do bear in mind that HIPAA does not prevent you from contacting her doctor ahead of time and relaying your concerns and your observations. I generally think it’s good to do this in writing, as it can be put in her chart. You may, of course, be wondering why you should bother getting her checked for dementia, such as Alzheimer’s disease. You may also be worried that a diagnosis will distress or upset her. In truth, it might upset her in the short-term. Still, in the long run, getting her assessed for dementia is likely to bring you both a lot of benefits. For your mother, a dementia assessment means she’ll be checked for other health problems that might cause personality or thinking changes. After all, it’s possible that the problems you’re observing are not due to dementia. It’s also common for dementia to be exacerbated by additional problems – like electrolyte imbalances, medication side-effects, untreated pain, or even constipation — which can be treated, even though a disease such as Alzheimer’s can’t be cured. So you really want at least a preliminary clinical dementia evaluation to be completed. A dementia diagnosis will also make it easier for you to get help as a family caregiver. Difficult behaviors are often managed with medications, but it’s true that these generally increase fall risk, so they should be avoided. If you are concerned about her behavior, this article will explain the pros and cons of the available medication options: 5 Types of Medication Used to Treat Difficult Dementia Behaviors. What is best is for family caregivers – and paid home caregivers – to learn better dementia behavior management techniques, and dementia caregiving coping strategies. I’m afraid it’s pointless to try to reason with her and “correct” her behavior, that just doesn’t work with people who are cognitively impaired. But there are other approaches that can help, most of which start off by accepting the impaired person’s reality. Plus, learning better ways to handle your mother’s behaviors can have a big effect on her wellbeing, and on yours. For you, learning better approaches will help you with the stress, anxiety, and guilt. This will make it more feasible for you to be present for your mother when you can, and that in turn will improve her wellbeing (even though she may not often sound as appreciative as you’d like). A 2013 study actually found that dementia caregiver coping strategies were associated with slower dementia progression. Last but not least, a dementia diagnosis often helps a family focus on planning for further declines in decision-making and independence. This is obviously not easy, but trust me, things tend to go better later if families have done some planning earlier. In other words, there is lots to learn and do if you are, in fact, the son of an older woman who is changing due to dementia. A preliminary diagnosis is an important medical first step, and will make it easier for you to get help coping, and get help learning skills to make the experience more manageable. Talk to a professional trained to help people struggling with aging parents, such as a geriatric care manager (now known as an aging life care professional) or a senior care adviser. Visit online support forums, such as this very active forum of people caring for aging parents here. Especially if your mother is diagnosed with dementia, you may like the Alzheimer’s Association caregiver forum here. Read a few good books, as it’s hard to learn a lot by skimming web pages. For dementia, the 36 Hour Day is well respected, and I like Surviving Alzheimer’s a lot too. Or consider an online course, such as the Johns Hopkins MOOC about dementia. Another option would be dementia management videos, such as those by Teepa Snow. Pick whatever method of education works best for your style of learning. Remember to take deep breaths, and to take care of yourself. Dementia or no, helping an aging parent is usually a long journey. Building some daily walking and daily mindfulness practice into your day can make a big difference. Good luck! Do get that dementia assessment and then get help learning to deal with her behaviors. It’s an effort but it will pay off in the long run. Readers: What resources have YOU found helpful for getting through these types of situations? I’d especially love to hear your comments on whether getting a diagnosis was helpful, and how you learned to better manage difficult behaviors. Very helpful article about a very tough circumstance. I am forwarding this item to my 3 children. I just turned 80 and my children are just entering their 50s. I’m glad you find it helpful. It’s often a great help to adult children when their parents are open to planning for the future. Doctor K, thank you for the update in dealing with personality changes in aging folks. It would be helpful to see you address the issue of changes caused by medication and over medication. Anyone taking a sleep aid such as Temazepam or any of the benzodiazepine family is at risk for side effects that can mimic and lead to what seems to be dementia after long term use, or use past the recommended dosage time. These can be searched on google. It is important for family caregivers to study every single prescription an aging parent is taking. Some are not life support medications, but given to quiet restlessness. Some people are taking more than one of these. They not only can directly affect the brain and create what appears to be dementia in aging people; they can create the same effect on younger people. I speak from experience. A doctor over medicated me on a sleep aid from the benzodiazepine family (includes valium), which is a psychoactive drug. I am a full time working senior citizen in a busy profession. I was prescribed this medication for several years when two weeks is the maximum dosage. My personality changed. My daughter thought I was getting dementia. Fortunately I was entered into a safe withdrawal program and recovered to continue working. It is also important to recognize that if you find your parent taking a brain altering or influencing medication, you must see that they are withdrawn slowly, safely and professionally. Sad to say, some doctors do not have a clue about the side effects of what they prescribe, nor are they aware of how to safely have a patient withdrawn from a mind altering psychoactive drug. It does not have to be an opiate to become addicted. My doctor told me to just “stop” taking the Temazepam. He did not know that I could have had a seizure or stroke from doing so. Thank you Glenda for sharing your story and for bringing up these important points! You are right, it is indeed common for older adults to be given benzodiazepine sedatives and other drugs that impair brain function, and such prescriptions are often inappropriate or aren’t tapered off correctly. I’m so glad you were able to find your way off this medication and that you’ve had a good recovery. Please I am in desperate help. My mother is 89 and her anger is full on rage. Hitting, yelling, throwing things.. etc. this rage will last from the time she wakes up till bedtime. My father has a bad heart and can’t take it. In hopes to control this she was prescribed depakote 125 mg a day 3 x day. Today will be her 5th day on this Med and so far nothing has calmed her. She gets so angry at me and my dad that she will not eat. Now the dr has ordered that we take her to emergency and they will admit her to the psych ward to be medically stabilized. This frightens me. Her rage frightens me because I’m afraid she will have a stroke or my dad will have a heart attack. She screams at the tv like these people are in the house. My fear also is that my mom is Japanese and if she is hospitalized who will understand her? Please help me I love my mom so much and I know she must be scared. I fear her going in hospital that she may never come out. So sorry to hear of your mother’s situation. I can see why you are so worried, and of course this must be difficult for her as well. If she is really out of control and is endangering herself or others around her, then sometimes it is indeed necessary to hospitalize the person to stabilize them with medication. If there is a language barrier between her and the staff, it’s true that will make things more difficult. The hospital may be able to provide an interpreter but also if they will allow family to be present, it will help her to have someone familiar who speaks her language. What is most important is that you are concerned for her, and if you can show up as much as possible to express that concern and care for her, that can really help. She sounds unwell, hopefully she will get treatment and be better soon. Remember that you can’t really control what happens, you can only control how you show up for her and try to support her during this difficult time. This is not easy, so find a caregiver support group if you can. Good stuff and no one telks oatients or their families. Really, Ambien for a n 87 yr old parent for theclast 25 years? Who monitors these prescribing docs. Absolutely no one. It’s the nature of the professional. The careless way we treat our elderly. Our cavalier attitude in this country, that everything can be fixed eith the right pill. It’s true that for a variety of reasons, health providers often tend to prescribe pills in response to problems and this is an approach that is especially unsuited to many aging health challenges. So it’s good for older adults and families to be prepared to ask questions and advocate a bit for other approaches. I also think it’s important not to overly coddle people with dementia like they are a little child. Rudeness should not be tolerated from anyone. Not to say you yell at them but if they are being rude, tell them they are being rude and if they are doing something that can cause them harm or to fall, you have to be stern and stop them from continuing that behavior. Places a fairly substantial burden on the adult offspring. I wish there were more attention paid to that and more resources devoted to it in this incredibly wealthy country (and yes, at this writing I’m fully aware who is sitting in the White House and Cabinet), as that person’s needs are systemically neglected beyond palliative phrases like “take some time for yourself” or “take a break” when a) they’re literally being abused, more often than not, and b) that’s substantially difficult most of the time and the time *required* in order to return to the most marginal state of equanimity exponentially exceeds the time *available* to do so. I completely agree that this is a substantial burden to place on adult children, and agree that more societal resources should be devoted to helping families with these situations. I recommend following Howard Gleckman’s column on caring for aging parents for a great view into relevant policy. And then…advocate if you can! Fantastic response by Dr. K to an important, well-written letter that had me laughing and in tears both! Such a common experience for many families going through this journey…good luck to all and get that dementia assessment! Thank you! Agree that the letter does a wonderful job at capturing the struggle and frustration that so many people experience. As a caregiver for my 100 year old mother until her death, now a support group facilitator, dementia and caregiver educator and doing non-pharmacological and environmental home assessments, I agree with Dr. K. that is an unfortunate, but not uncommon situation. It is sometimes hard for us as children to step in and override decisions of our parents, even though we know that it would be best for all involved. These situations are why more than half of people with Alzheimer’s pass away without even being diagnosed – what a sad and unnecessarily difficult life both the patient and their caregiver (if they even have one) endure as a result. Dr. K’s articles were a big help to me when I was a caregiver and I continue to share her information with others as I find them well written for the layman who has limited time to read and research dementia issues. Thank you! I’m so glad you’ve gone on to provide dementia education and support in your community. I’ve learned quite a lot from you and others who have written to me since I started this blog. Dementia is often a difficult journey for families but it’s nice that the Internet makes it easier for us to connect and learn from each other. I have two aging parents, one with dementia, one without. However my not-demented parent is very stressed and overwhelmed with the responsibilities of the current situation, so between the two of them, my hands are really full these days. I find solace with the usual – daily exercise, half hour a day in the sun, a focus on healthy diet and long nights’ sleep. I keep a watchful eye on my alcohol intake. I lean heavily on my loving and supportive husband, siblings and friends. I try to take the advice I give my mother “focus on what you can change, not on what you can’t.” It’s hard to do, but it helps me keep my balance. Every day is a new challenge and an opportunity to develop grace. Yes, I often think of the “Serenity Prayer” when working with families. That last wisdom part is hard however, for families AND for doctors. Your comment also brings up something very important, which is that many family caregivers are older adults caring for spouses. Studies have found these are the caregivers who tend to do the most weekly work. I’ve also noticed it can be hard for families to figure out how to help a caregiving parent, since the caregiving spouse often tries to avoid burdening others. I am glad to know you making an effort to take care of yourself, and hope your non-demented parent is able to squeeze in some self-care as well. It’s wonderful that you’re able to offer some help and support to your parents at this time. Gina your life could be mine at this moment. I need to start exercising to help control the frustration. It overwhelms me. Agree, local Alzheimer’s Association chapters are an excellent resource. Most caregiving resources are helpful for all kinds of dementia, and so I often tell families to still try Alz.org even if they’ve been diagnosed with a different dementia, or non-specific dementia. All of these articles are extremely helpful. I’ve shared them with friends of mine in other states. I hope they are reading them and following this most important advice. Thank you for sharing with others, I appreciate it! You are definitely not alone. 15 years is a long time; very good of you to do this and sorry your mother is not more appreciative. If the situation is very difficult and stressful — which it sounds like — I would recommend you reach to local resources for more advice and support. Your local Area Agency on Aging can help you identify these. You need to make sure you take care of yourself and your marriage, and contacting others can help you identify ways to meet your own needs while providing your mother with reasonable assistance. You should also be sure to let your mother’s doctor knows what is going on, esp if your mother seems to be changing or getting worse, as it’s important to identify any underlying medical issues that might be causing or worsening her behavior. Good luck! Thank you so much for an insightful and information packed response! I have recently become caregiver for my 51 year old brother who we believe has dementia. I have learned so much in the last two months since realizing his need for care and his dementia. I have found that reading, support groups, training, any and all ways that I can learn more not only about his disease, but how I must relearn ways to communicate with him where he is now, not where he used to be, or how he should be. Once I understood that, along with the fact that each day brings new challenges, I am so much more understanding and compassionate. It is working alongside professionals who are empathetic not only to the patient, but also the caregiver that I truly believe it takes a team to properly care for and love our patient, and one another. Thank you for being so clear and concise as well as offering so many other information resources!! I’m reading through all of them and have already ordered a copy of the book. Keep up the great work and the blog!! Thanks for this comment, I’m glad you find this site helpful, and wonderful that you are learning to communicate better with your brother. This will surely improve the relationship and quality of life for BOTH of you. 51 is very young for dementia in people who do not already have Down’s syndrome or another form of developmental delay. I hope your family has been able to get help from a specialized memory center, as I think they are especially helpful for people with early-onset dementia. I’m with all of you, I have a brother who moved back to Michigan. Since he’s been here I have been his only person that drives him to the doctors , to the store goes for his medicine. He made me poa when he came here. I am on call when ever he needs me. He lost his balance an fell hitting his head and blamed me for it, but I was at a wedding when it happened. He is getting worse with his dementia. The other day he said he wants to change his will because I always trying to tell him what to do for his good and he doesn’t want me in his attorney office with him, on conclusion he wants to take away the poa from me. For a brother that has done every thing possible for him I feel discouraged, After all I have been doing for him. Sounds like a difficult situation. Unfortunately, some people with dementia aren’t able to fully appreciate all that their family is doing for them. If you haven’t already done so, I recommend contacting your local Alzheimer’s Association or a similar support group. It’s good to connect with other caregivers, and it’s also important to learn how to most constructively respond to your brother’s frustrations or accusations. I have a very difficult situation, my father has Alzheimer’s and is in memory care. My oldest brother takes care of him as best he can, visiting him weekly and making sure his needs are met. I live 2000 miles away and can’t be there yo help. My dad can no longer hear or see and is angry at everyone. He was never what you would call a nice man all the time we were growing up and got much worse when my mother died (she was only 45 when she passed). He became violent with us and we all left as soon we got old enough. My oldest brother however promised my mother he would care for my dad and has done so for many years but it has become increasingly difficult. My father is fowl with my brother and staff at the home. I don’t know what to do to help him and my dad has driven off all other family members long ago. I want to help but don’t know how, any suggestions? – Talk to your brother and ask him how you can help support HIM (your brother). It sounds like he has gone through a lot. – You may or may not be able to do much to help your father at this point. Don’t hold yourself responsible for the outcome. Your job is to have a good intention and to make an effort. What that effort should look like, I can’t really say…your brother might have some suggestions. – You might find the book “Coping with Your Difficult Older Parent” helpful, you can perhaps get it from your public library. My mother is 82 and lives on her own. Her long term memory is just fine, but her short term seems to be fading. She will ask me the same questions within minutes and forget what day it is. If I am explaining something I have to tell her over and over because she gets confused. For the longest time if we are talking about an issue or something in the news she will argue and sometimes gets nasty with her opinions. To herself, shes always right even though she makes no sense or have reason. Is this just her getting older or signs of dementia? It is normal for things to slow down in the brain a bit as people get older, but what you are describing sounds more significant. It’s not normal to ask the same question within minutes (repeatedly; once in a while would be ok) or to keep forgetting what day it is. That`s a very thoughtful answer. Thanks Leslie for sharing and the evaluation. Most of the people can relate to this situation. You are spot on. She should prevent further cognitive decline in her mother`s health instead of pushing her into home care support. In my opinion a face-to-face conversation with her mother may bring out better outcome and may control her anger issues. Her mother might be acting angry and feel disgusted in order to get her daughter`s attention and time I`d say. I like the article and love the “Serenity prayer” too. Conversations with the mother are a good idea, but they are mainly useful as a way to better understand how the older mother is perceiving the situation. When we understand an older person’s reality, we can better learn to work with it. However it is almost never possible to convince an older person to be less angry or paranoid, especially when the underlying problem is cognitive decline. Preventing further cognitive decline can be difficult. No medications or medical therapies have been proven to work well for this purpose. Probably the best approach is to minimize risky medications and prevent delirium; both of these have been associated with acceleration of cognitive decline. Other methods that promote brain health (e.g. exercise and social engagement) may also help prevent decline. That’s a good point: a local clinical trial is often a way that families can get extra support while dealing with Alzheimer’s or other dementias. Wonderful that your office is able to provide so much help to your patients; I hope some day this will be more the rule than the exception. Here is the best advice. Put your mother in either assisted living or a nursing home. In case she refuses to go you call the police who take her to the emergency room. Once there the doctor can have her sent to a nursing home. All her acting out will be handled by the nursing home. Well, it is true that many people with dementia end up moving (or being moved) to some kind of residential facility. It may or may not be the best way to go, it really depends on the situation and what the available care alternatives are. I would recommend using the police as a last resort…it’s often possible — and less traumatic — to get a reluctant person with dementia to move by using benign deceptions, such as inviting her to lunch at the facility and then introducing her to her new home. (Some families propose it as a temporary arrangement, or say that the usual home is in need of serious repairs.) And even then, families should only resort to deception after being quite sure there is no other way to address the situation, and also being sure that they have legal and ethical grounds for moving the older person against her will. Legal requirements vary state by state, so it’s best to consult with an elder law attorney before proceeding. What do i do if i am in critical medical condition, have a long standing arrangement with my parents for the past 2 years that they have repeatedly texted me, that they are paying for my life saving stem cell treatment, and within the last month they are completely denying that my hips are broken? I planned my life around this treatment ive been promised for almost 1.5 years, she says ok ill go get the money, then it never comes or she picks a fight with me, hangs up on me, then wont answer my calls for 2 weeks. Since its gone on so long,i cannot work, I have had to spend all my savings, and i have advanced lupus due to the torn/broken hips. I even drove over to tell her how urgent this is and she called the police on me. This is full on lupus with sun allergy. Im in san diego, its summer, and now when i go outside i throw up and get blurry vision. The emotional toll after being injured so long and my parents now fully denying i am sick is overwhelming. I have lost everything from her deception, now possibly my life. mThey lead me on this entire year so at this point it has developed to the point i can barely think or move. I feel like they are trying to kill me. I plead for friends to help me get through to them but they play it off and tell lies about me. its to much for anyone to understand. Im not able to heal, now i have to take them to court because i have no voice. with them. I couldhave paid for my own treatment but now ive had to go through my savings. Its a life or death situation now. Hm. It sounds like you are having some significant health concerns and want your parents’ help. But at the same time, they have become challenging with you, as you describe paranoia, not following through, and not listening to you. Unfortunately, I don’t know that you can force your parents to help you. If they are older, there’s a possibility that there are real medical reasons for their behaviors and conflicts with you. Ideally, they would get evaluated to check for these. While they are in this state, they probably won’t be able to provide you with the amount of help you’re hoping for. It won’t work to argue or reason with them. I would recommend looking for other ways to get your needs met, and then later trying to help your parents, if possible and if it still seems relevant. good luck! Excellent post. In Serbia I have a grandfather who suffers from dementia. We had to put him in a nursing home because he can not take care of himself. There is surrounded by people who properly care for her. Yes, as dementia progresses, people eventually need someone to be taking care of them all day (and also usually available at night). Placement in a residential facility, such as nursing home, memory care unit, or even a smaller home, is one way to manage this situation. Thank you so much for your article!!! I have been studying about Dementia, since I visited my mother last December – January, 2018. She has changed!!! Your article is the most helpful one!!! You are so very welcome. I’m always delighted to hear that an article has helped someone. Very helpful article, thank you. My 81-year-old widowed sister lives by herself and, while she’s always had severe emotional issues, aging has caused her to be downright rude. She lives alone and can still mow her lawn, is in good physical health, and does fine with self-care. However, I’d like to stop thinking I have to listen to the complaining, haranguing, and what seems to be lying (although I think that’s the dementia). She would never listen to me, hates all women, especially her sisters, and sometimes even her children, who are professional people in their 50s. I’ve been advised to cut off the relationship completely, for my own sanity. I’m taking this into consideration currently. Her children, who rarely see her, will have to decide. Thank you for this opportunity. Glad you found this article helpful. Also glad you are thoughtful enough to be concerned about your sister. She does sound quite difficult and if interacting with her feels too toxic, it’s certainly reasonable to set boundaries and limit your contact with her. With the right approach (and sometimes encouragement or coaching from others), it’s often possible to provide some support and caring without letting the other person drain or hurt you too much. A good book on how to do this is Coping with Your Difficult Older Parent: A guide for stresed-out children. Although it is written for people like your sister’s children, you would probably get some good ideas from it as well. 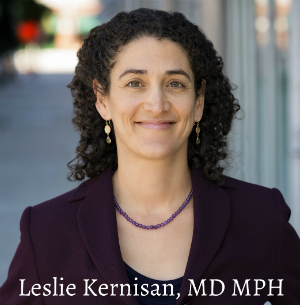 066 – Interview: Addressing Potential Self-Neglect in Older Adults. We have taken mom neurologist. She passed clock drawing and initiall questions. Has had brain mri waiting results. Went today for psychological assessment. Told doctor upset we (3) suggested these assessments. Then after about an hour she took a break and told my sister and dr I’m leaving. She feels like we ganged up on her and are putting her through hell. Sounds like your mother is angry with you, sorry to hear this. This is actually quite common, but doesn’t make it any easier for the family members who are involved. There is no easy answer. When you are feeling patient enough, keep reaching out to her and try to keep the tone of your exchanges empathetic and non-confrontational. 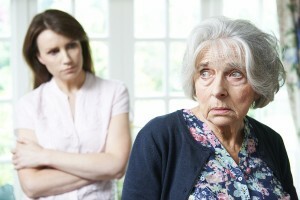 Avoid arguing or trying to reason with her, that almost always makes older adults more frustrated and defensive. I would recommend connecting with a community of people in similar situations if you haven’t already done so. The caregiver forum at AgingCare.com is quite active and many of them have been through this type of thing. They’ll be able to give you moral support and ideas. I am still working at 64 – 30 hours a week. We have arranged caregivers for my mom, but she sends them away because she won’t spend the money! It is only $15/hour, or she changes the schedule at the last minute – repeatedly – and they become so frustrated that they quit. My husband also had double knee replacement surgery 1 month ago — and I told her I would be unavailable during that time — call my other siblings and my niece – but she actually called me while I was at the hospital 1 hour away to stop by on my way home (at 9 pm to take out her trash) – she had one bag of trash. It has become an obsession. Her house is a mess but she sends cleaning people home after an hour. If I take her somewhere socially, I cannot even have a conversation with anyone, however brief, because she constantly finds things for me to do — needs another drink, need more deserts, etc. – the list is endless. She repeats the save conversations endlessly, day after day. They are word for word. Won’t listen, forgets things constantly, refuses to believe her memory is failing and won’t wear her hearing aid. She is always right. Can barely get around with a walker, but insists she doesn’t need more help. She can barely make a meal. I am constantly running over with food and groceries, as is my sister. I am beginning to avoid her because it is so frustrating to be around her. I have become depressed and angry. She has always had a bit of a mean streak – extremely frugal – would not even help out with my prom dress when I was 17 — but took a trip to Spain just a few months later with her friends. Never there for me emotionally until I had children – then she could be the wonderful grandma! I wish I could move back to California, but we can’t afford it. Wow, this does sound like a difficult situation. If you haven’t done so already, I would suggest looking for an online community of people caring for aging parents. What you are describing is not uncommon. Most people find it helps to connect with others who can commiserate, encourage setting healthy boundaries, and offer practical suggestions on what to try next. I would also recommend the book Coping With Your Difficult Older Parent, as it addresses setting reasonable limits with a difficult or demanding parent. It’s good that you are trying to help your mom AND you need to find a way to take care of yourself while you do it. Good luck! My mother has Alzimer . she dosnt belive that my older Sister skrunder Her Mother s money. My older Sister steels mother s money by bieing big House Big Cars . my Mother belives her also i gave the best of her life with my other sister who i love . those things Ona had bully me for along time . dhe never was a great Doughter tord my mother. Whrn Ona left tucson wgere was she uh. We had too take care our mother not her. Now our mother sticks up for Ona thrn us. My Sister & I had to take care of our elderly alzimer mother when she was in & out of the hospital. My older Sister Ona was in Washington liveing there she never help 1. We had to make things comfertbul . My Sister had to work nights & days witch she was a very hard worker . Then my older Sister was doing. Any way we had too take care of mother more more very way more. Now our mother is taken advanage of us say we where not there for her. When we helped her . Well thats it my older Sister would bully me thrue mail all the time now she said she never did maken harder for me. Sorry to hear of your situation. It is common for there to be very difficult histories and feelings when caregiving issues come up, either between adult children and their parents, or between siblings, or all the above. I would recommend joining an online support group for people caring for older parents. Many have had conflicts with their parents and/or siblings, so they’ll be able to provide you with ideas and support.